Season 1 episodes 1-6 plus a never before released bonus episode! Saving the world from things no one wants to believe in gets Zurik D’vordi on the police’s short list–almost as often as he finds himself in a new woman’s bed. As a result, he ends up as Detective Jennifer Morgan’s number one suspect. 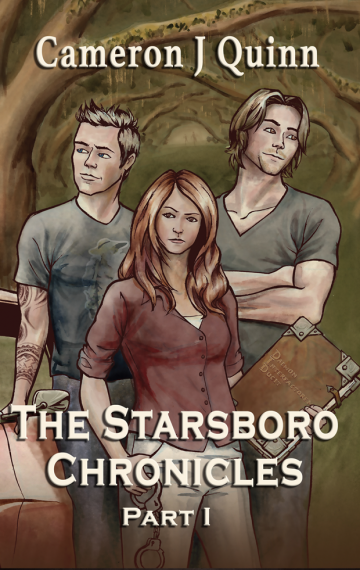 Trouble is, Morgan quickly learns the college town of Starsboro, NC hides more than one thing that goes bump in the night. If she wants to keep her home safe she must join forces with Zurik and his straight-laced brother Trent: the only ones who can fight back. 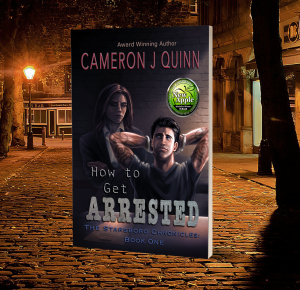 In the first omnibus of The Starsboro Chronicles, award-winning author Cameron J Quinn introduces readers to an exciting new world. Full of action-packed adventures and laughs, this collection will keep you turning pages into the wee hours!